What is Happening before We Open? The sims will close at 11.59pm on June 16 SLT. At that point everyone will be asked to leave. Put down your hammers, your time is up. On the 17th of June (SLT) our staff walk the sims, giving them one final check to see that all builds are in order and that all lost prims are found. We then do a sim technical rehearsal to ready the sims for the grand opening at 11am June 18 SLT. This year, we also have our press preview day on the 17th. Now, we do realise this is not 100% convenient for all builders, however due to the time constraints this years birthday was under, and the need to give builders as much time to build as possible, this is how it has turned out. We apologise to those builders who would have liked to have been present for the press preview, but remember many will still be floating around once the event is open. Oh and yes, once the doors open again, builders will still retain their build rights. But remember, after June 18, everyone will see you building, and the sims will have a slight increase in lag, so I recommend you get finished by 11.59pm June 16 SLT! Builders – The Last minute is NOW! There are hundreds of amazing builds sitting here on our sims and hundreds of little green dots all over the map as builders rush to complete their builds. But we’ve also noticed a number of people who have claimed their plot but not started building yet. If you’re waiting for the last-minute to start, well, that last-minute is here! SL9B opens on the 18th of June but you only have until 11.59pm on June 16 SLT to complete your build. At that time the sims will close and everyone will be asked to leave. This is so we can conduct a full technical rehearsal and a final check and clean up of all the sims. June 17th is our press day where bloggers, journalists (SL and RL) and photographers come to see your amazing builds before we open to the public at 11am SLT. This means you now have less than 4 days to complete your builds. Or even, start your builds. Don’t leave it till the even more last-minute than last-minute! 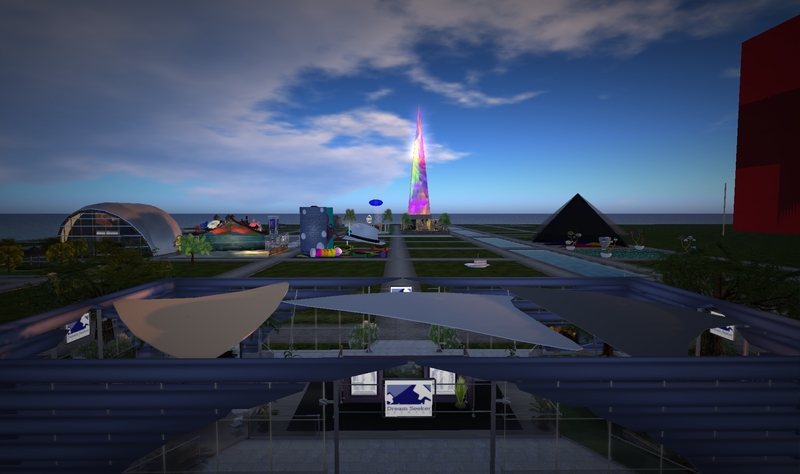 Creating a new time capsule is a wonderful tradition we’ve kept alive each year at the Second Life Birthday event. Residents are invited to try and create a capsule that represents something significant from that year (SL4B’s capsule had flexis, SL5B’s used glow) or something inspired by the theme of that year’s event (SL6B’s capsule was a meteorite chunk for its space theme, SL8B’s was a modified version of the event logo). * The capsule should be (relatively) low-prim. Some of the older ones reach up to 96 prims, and some years it gets difficult to display them all. If at all possible, please be prim-friendly! This will only get worse as more and more capsules join the ranks every year. * If you choose to make it look like a chest, box, or anything that would open in RL, we’ll need an open version AND a closed version. This allows us to keep up the illusion of “opening the capsule” at every year’s event. Don’t worry too much about scripting the open/close, we can help with that. Sometimes we can ask for modifications to the design to accommodate the look. * Overall, be creative; this year’s theme is “Community” if you want to go theme-based. * Some particle activity is allowed, but keep it manageable. No giant fireworks fests, but some minor activity is fine. For an example of a previous model: SL5B’s capsule has particles that float inside it, defined by the amount of items in its inventory. * The capsule should have full perms. This is very important, as modifications may be needed; plus, it is ofcourse needed for the adding of the contents, the most important part of the capsule. * No guarantees that you’ll win. You may have the nicer design technically, but someone else’s might fit the theme better. * To submit a design or to ask any related questions, please contact Will Webb, the official keeper of the capsule. * Last but not least, the previous capsules may be seen upon request, for those of you that need a bit of inspiration and guidance in choosing your design. The closing date for submissions is end of the day 15th June SLT so get cracking! A bit of info about the applications. As I said, we received 488! We absolutely did not expect that many; in fact, based on previous years, we allowed for 275 parcels. After receiving about 400 we picked ourselves up of the floor and rearranged our layouts, adding in another 82 parcels to give us 357 total. The maths geniuses amongst you will quickly realise that that’s still not enough to accommodate everyone. Broadly speaking, we received 2 different types of applications. 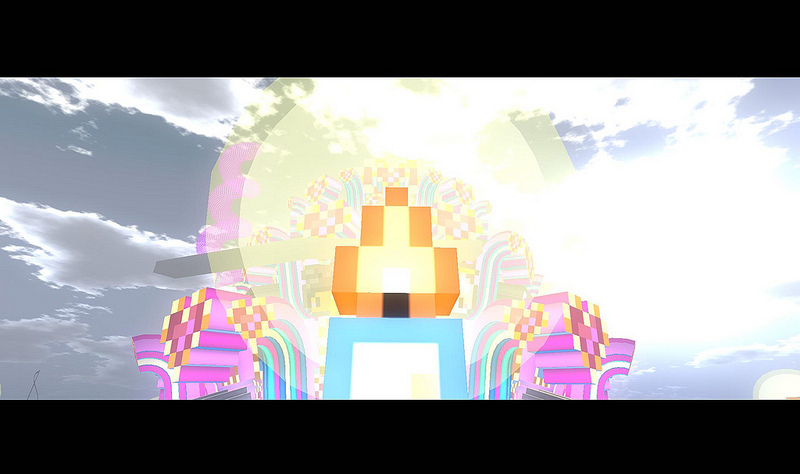 The first was the art application, where SL artists create or show amazing works of art in only 257 prims. The second type of application was the community group exhibit. These are less arty and more informative, showing a huge range of communities from around SL. We think that this year we have almost the entire range of SL represented in only 20 sims. So why didn’t we accept your application? There’s a few reasons. If your application didn’t meet the event guidelines (size, prims, PG rating etc) then we couldn’t accept it. If your application was vague, didn’t give us much to go on and didn’t give us an idea of what you wanted to build, we probably didn’t accept it. If your application read like a thinly veiled advertisement for your store or product, then we probably didn’t accept it. And if you didn’t at least make an attempt to link your application to the theme, we didn’t accept it. Lastly, there were so many applications that somebody had to miss out. It’s a sad fact, but not everyone can get in – there just isn’t space. We hope those that didn’t will still participate in the SL9B celebrations and please do try again next year. For those that did get in, Happy Building! Remember, you have to be finished by the 16th, so get cracking! Applications are now closed for everything except auditorium booking. And let me just say, WOW! We received far more than we could ever hope. We’re currently working our way through them and have sent out to date approximately half of the acceptances. If you haven’t heard yet please be patient! The downside to receiving so many applications is that we won’t be able to send out all the acceptances before the sims open at 10am June 4 SLT, and for that we apologise but again – be patient – we will have them all done in the next few days. We’ll also post here when we’ve finished so that you’ll know if you got in or not. So, um…be patient, we’re working on them right now! PS – if you don’t get in as an exhibitor, another way to participate is to give a talk at our auditorium. Spots are still open and talks can be voice or text or both. See our auditorium booking page to fill out an application – spots are still open. So I sat down last night to watch a bit of TV (I know, I know, who said I could take time off?) and what did i find down the back of the sofa cushions but a whole bunch of unused prims! How they got there I have no idea (although I suspect the Angel of Death might have had something to do with it – remind me to check his plot VERY carefully…). Anyway with all these extra prims, we’ve decided to share them out to everyone. Your plots will still be 32m x 32m, 1024m2 but now they will have 257 prims not 234! Thats an extra 23 prim cubes for everyone. There’s probably a whole heap of people who have already designed their displays to 234 prims going ARGGGH!!! about now, but now’s the chance to add back in those few little things you couldn’t do due to lack of prims. So that’s now 257 prims per plot. Enjoy! As we’re all aware, LL are not sponsoring this (or any) SL9B event. And we know we aren’t the only event happening to celebrate Second Life’s 9th birthday. So we thought “Let’s be the community we’re supposed to be celebrating!” To that end, we introduce the Celebration Hub. This display will sit in the welcome area of our event and will display information on other events happening around the grid. Now, we know there are lots. but we don’t know how many or who is doing them. So you tell us. If you’re running a birthday celebration event or you know someone who is, then put all the following in a notecard and drop it on Dmom2k Darwin inworld. A notecard with all the relevant information. The information in your notecard will be provided to those who are interested and should include a description of your event with (again) the date(s) and time(s) (start and end), the maturity rating (General, Moderate or Adult – our event is G but we will still link to yours even if yours isn’t), the slurl and anything else you wish to add to encourage visitors to attend. Please make sure everything you send is 100% accurate. We don’t have the time to check all the urls, landmarks and spelling. And we need this information no later than June 14, or we might not have time to get it into the hub. Let’s work together to make SL9B an awesome grid-wide celebration!